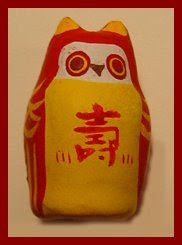 Because of a pun with the name, the FUKU brings good luck to people.
. O-fukuro　おふくろ - お袋　my mother .
. Daruma and the Owl . 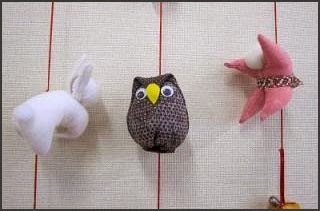 horned owls made from susuki grass .
. 鬼子母神 mimizuku tumbler doll . 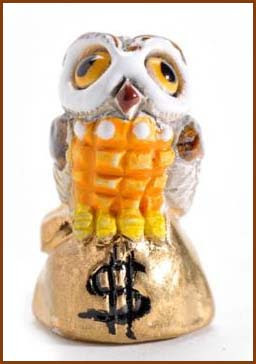 A golden fukuro for your luck with the dollars! May the girl grow up with no sorrow (fu kuroo) and be as clever and full of wisdom as the owl in the woods. 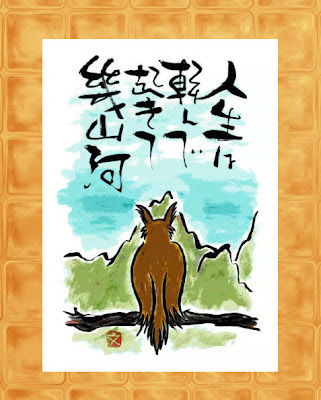 fukuroo 福朗 with an auspicious body the child draws happiness to itself. 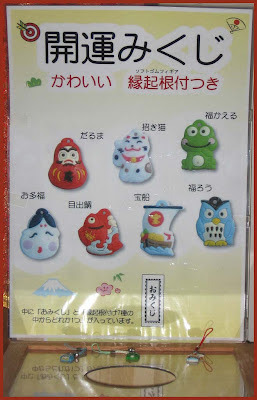 For students who use the Tobu Tetsudo Railway to go to their place of the university entrance examination.
. Temple Konpira-In 大平山 金毘羅院 .
. . . CLICK here for Fukuro Daruma Photos !
. 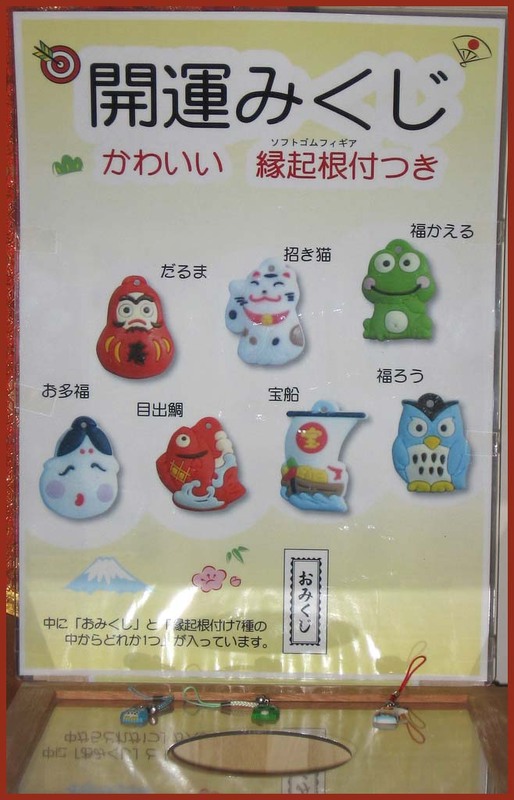 . . CLICK here for Fukuro Omamori Photos !
. 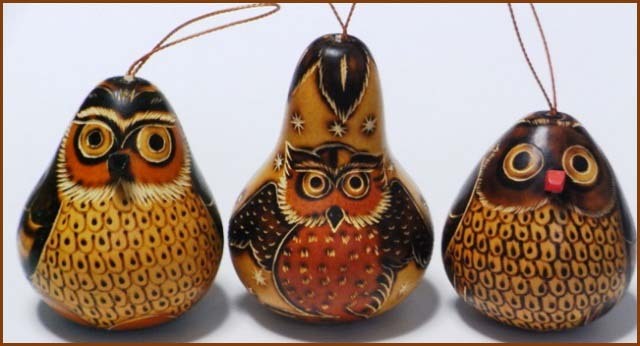 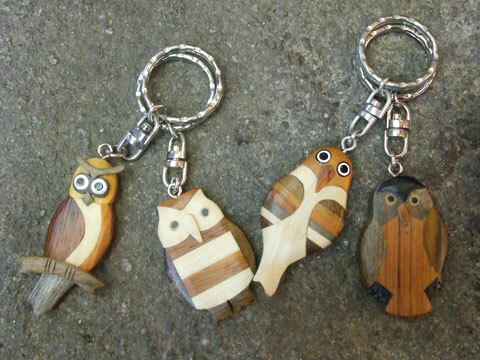 WKD - Owl (fukuro, fukuroo, fukurō 梟 ) . 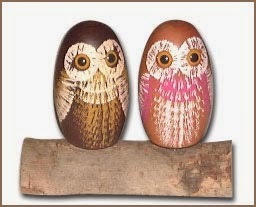 and both as owls . 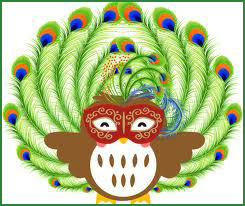 in many versions ! 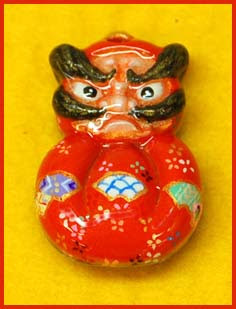 located near the center of the city called Ikefukurō-zō (いけふくろう像), meaning pond owl statue. 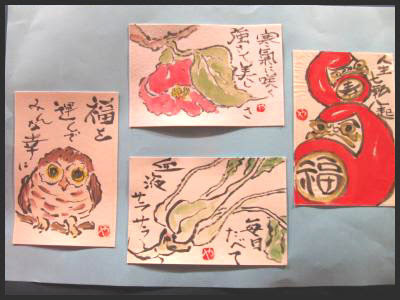 It is a play on words from the alternative meaning of "fukuro" as "owl" (although owl is pronounced with a long final "oh", rather than a short "o" in the word "fukuro" for bag). 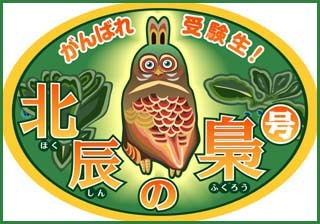 The owl statue has become a famous meeting place along the lines of the statue of Hachikō located outside Shibuya Station.